Apple Watch wastes no time in partnering with insurers. Or vice versa! Confirming that Apple Watch’s growth strategy hinges heavily on health via its new features are fresh agreements with Aetna/CVS Health and a rumored reach into three Medicare Advantage plans. The Aetna partnership is with an app called Attain, which blends Apple Watch activity tracking data with users’ health history to create personalized programs. The program is limited to about 250,000 slots plus additional slots for employer plans, and will debut this spring. Late last year, United HealthCare announced Apple Watches would be added to existing wellness program called Motion and their Rally platform. Both Aetna and United have tiered payment programs for the watches, with United adding a HSA reward. For Medicare Advantage plans, Apple is rumored that they will subsidize the watch for use as a health tracker and coach. FierceMobileHealthcare 30 Jan (Aetna), 14 Nov 18 (UHC), and 29 Jan (Medicare Advantage). Another small step for remote monitoring and visits. Late last week, the Center for Medicare & Medicaid Services (CMS) announced a limited expansion of telehealth (remote patient visits) coverage as part of the Value-Based Insurance Design (VBID) model. In 2020, plans can apply to use telehealth as part of their coverage. According to the CMS release, Medicare Advantage (MA) is testing a new series of service delivery approaches, including “increasing access to telehealth services by allowing plans to use access to telehealth services instead of in-person visits, as long as an in-person option remains, to meet a range of network requirements, including certain requirements that could not previously be fulfilled through telehealth.” Other MA additions under the VBID mode include expanded rewards and incentives for beneficiaries for health improvement, and reduced cost sharing and additional benefits to enrollees, including those around chronic conditions or socio-economic status, such as aid around social determinants of health. Medicare Advantage may lead, but Medicaid and regular Medicare are not far behind. The Centers for Medicare & Medicaid Services (CMS) has announced in two proposed rules changes expansion of telehealth access for both privately issued Medicare Advantage (MA) plans (26 Oct) and state-run Medicaid and CHIP (Children’s Health Insurance Plan) (14 Nov) plan members. This may mean greater acceptance by providers because they will be paid for these services. For MA, the proposal would, starting in 2020 as part of government funded basic benefits, eliminate geographic restrictions (rural telehealth) and allow members in urban areas to access telehealth services. It would also broaden present location restrictions, allowing MA members to receive telehealth from home versus traveling to a health care facility. The most intriguing wording is here: “Plans would also have greater flexibility to offer clinically-appropriate telehealth benefits that are not otherwise available to Medicare beneficiaries.” which very well could mean remote patient monitoring in conjunction with visits. MA plans have always had more latitude to offer telehealth benefits to members, which are about 1/3 of Medicare-eligibles (over 65). Over 11 percent growth is forecast and it is highly competitive though dominated by United Healthcare and Aetna–over 600 new plans are entering the market next year. Enrollments close on 7 Dec for 2019. CMS.gov release, mHealth Intelligence, Healthcare Finance News. CMS is also finalizing separate payments for three new codes covering chronic care remote physiologic monitoring that unbundle 99091 (CPT codes 99453, 99454, and 99457) and interprofessional internet consultation (CPT codes 99451, 99452, 99446, 99447, 99448, and 99449). The importance of this is that more digital health covered by Medicare and government payments in public/private programs such as Medicaid and MA lead private insurers to pay doctors for these services, who will then be willing to pay vendors for providing them. For the telehealth and telemedicine companies that have weathered the storms and lean times of the past decade, there may be light at the end of the tunnel that is not an oncoming train. Unstructured data in EHRs more valuable than structured data in older adult patient health. 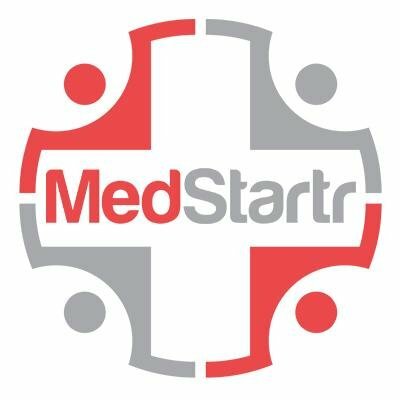 A new study in the Journal of the American Geriatrics Society compared the number of geriatric syndrome cases identified using structured claims and structured and unstructured EHR data, finding that the unstructured data was needed to properly identify geriatric syndrome. Over 18,000 patients’ unstructured EHR notes were analyzed using a natural language processing (NLP) algorithm. Is Uber fit to deliver healthcare transport? Healthcare organizations may want to check. Healthcare-related organizations have codes of conduct pertaining to suppliers. Does Uber meet compliance standards? As we reported a few days ago in our article on the burgeoning area of non-emergency medical transport (NEMT) [TTA 9 Mar], Uber Health’s debut with a reputed 100 healthcare organizations has led this Editor to a further examination of Uber, the organization. Uber has had a hard time staying out of the headlines–and the courts–in the past two years, in matters which might give healthcare partners pause. On 21 Nov, Uber reported that the personal data of 57 million users, including 600,000 US drivers, were breached and stolen in October 2016–a full year prior. Not only was the breach announcement delayed by over a year, but also in that year it was made to go away by Uber’s paying off the hacker. Reuters on 6 December: “A 20-year-old Florida man was responsible for the large data breach at Uber Technologies Inc [UBER.UL] last year and was paid by Uber to destroy the data through a so-called “bug bounty” program normally used to identify small code vulnerabilities, three people familiar with the events have told Reuters.” The payment was an extraordinary $100,000. “The sources said then-CEO Travis Kalanick was aware of the breach and bug bounty payment in November of last year.” The Reuters article goes further into the mechanism of the hack. It eventually led to the resignation of their chief security officer, former Facebook/eBay/PayPal security head Joe Sullivan, who ‘investigated’ it using encrypted, disappearing messaging apps. Atlantic. CEO and co-founder Travis Kalanick was forced to resign last June after losing the confidence of the company’s investors, in contrails of financial mismanagement, sexual harassment, driver harassment, and ‘bro culture’. This included legal action over Uber’s 2016 acquisition of self-driving truck startup Otto, started by former Googlers who may or may not have lifted proprietary tech from Google before ankling. These are lavishly outlined in Bloomberg and in an over-the-top article in Engadget (with the usual slams at libertarianism). Mr. Kalanick remains on the board and is now a private investor. The plain fact is that Uber is still burning through funds (2017: $1bn) after raising $21.1bn and its valuation has suffered. The new CEO Dara Khosrowshahi, who earlier righted travel site Expedia, has a tough pull with investors such as SoftBank and Saudi Arabia’s Public Investment Fund. Also Mashable. Healthcare and NEMT, as noted in our earlier article, are a strong source of potential steady revenue through reimbursement in Medicare Advantage and state Medicaid programs, which is why both Uber and Lyft are targeting it. The benefits for all sides–patients, practices, these companies, sub-contractors, and drivers–can be substantial and positive in this social determinant of health (SDOH). Healthcare organizations, especially payers, have strict codes of compliance not only for employees and business practices but also for their suppliers’ practices. Payers in Medicare Advantage and Medicaid are Federal and state contractors. While Uber under its new CEO has shown contriteness in acknowledging an organization in need of righting its moral compass (CNBC), there remains the track record and the aftermath. Both deserve a closer look and review. 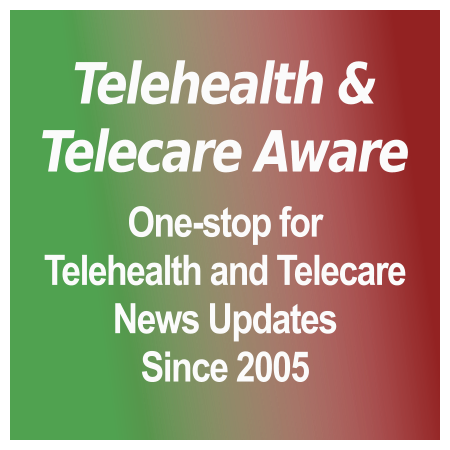 Enhanced telehealth coverage for ACOs–this expands the provisions in the Next Generation ACO program to ACOs participating in the Medicare Shared Savings Program (MSSP) Stages II, III and the few left in Pioneer, so that telehealth will be reimbursed regardless of geographic location and in the home. Breaking News Judge Amy Berman Jackson of the Federal District Court for the District of Columbia is expected to rule against the Anthem-Cigna merger on anti-trust grounds, sources have informed the New York Post. In anticipation of the appeal, Anthem has already filed an extension to the merger deadline from 31 January to 30 April, which Cigna is reportedly opposing in hopes of killing the merger. The lawsuit was brought by the Department of Justice after Senate anti-trust subcommittee hearings and the displeasure of many state insurance regulators [TTA 21 July]. The hearing starting 21 November had two phases: the first on the merger’s effect on national employers, the second starting 12 Dec on local markets [TTA 21 Nov]. The huge stumbling block, according to the report, is Anthem’s unresolved conflict in a merger due to the ‘Blues Rule’, which requires that they have no more than one-third of its marketed products from other insurers in a state where they also market Blue Cross Blue Shield plans. Anthem is the licensee for Blue plans in 15 states, and according to court testimony by Anthem VP of corporate development Steven Schlegel, may have faced a $3 bn (£2.43 bn) penalty. This likely would have come from the Blue Cross Blue Shield Association, the licensor. Anthem’s hope reportedly was to transfer Cigna customers to its Blue plans to balance this out. The NYP report also adds fuel to two years of rumors concerning governance and management succession conflicts between the two insurers. One revelation in the DOJ complaint was that in April 2016 “Anthem had established a separate, highly confidential team to work on integration planning without Cigna’s participation”. Earlier reports publicized that Cigna hoped that the DOJ lawsuit would have killed the merger; now Cigna wants no extension and to collect its $1.85 bn breakup fee. Sounds like a Fatal Case of Merger Remorse. Stay tuned. The separate Aetna-Humana hearing concluded on 30 December under a different DC District Judge, John D. Bates. Arguments here focused on overlaps in two areas: exchange policies (sold by Aetna in only four states, with overlap in 17 counties) and Medicare Advantage monopolies or near-monopolies. The judge’s ruling is still pending. Bloomberg, Hartford Courant, which lets hometown Aetna have its say. For those unfamiliar with the US Medicare programme, which provides healthcare benefits for over-65s, it is a tale of two halves. The first, or original, half provides funding for hospitals directly through Centers for Medicare and Medicaid Services (“CMS”). The second half of the tale is funding provided to insurance companies (known as Medicare Advantage Organisations or MAOs) to provide healthcare insurance cover. The details are complex and available on the official government site here. Each year CMS sets the rates which the government will pay the MAOs and the proposed rates were published for consultation last month with the final decision being published next month. One of the respondents to the consultation was the Telecommunications Industry Association which strongly advised the CMS to support the use of telehealth within any MA plans as a means to reducing the cost of healthcare. While the TIA support is good news, and claims to be in the spirit of “long-time supporters of enhanced telehealth and remote monitoring services” I suspect the reasons are not entirely altruistic. CMS says in its consultation document that some MAOs have asked CMS to include “remote access technology-furnished” services as part of MA plan basic benefits. However, as basic benefits can’t include anything not in the “original half” (Parts A &B) CMS proposes to continue to include these as “mandatory supplemental services” in the coming year. In this context remote access technologies are defined as Telemonitoring, Web- and Phone-based Technologies, Nurse Hotlines and other similar services. For 2015, CMS is also to allow MAOs to furnish medical services to beneficiaries via real-time interactive audio and video technologies as a mandatory supplemental benefit.